Although this AdvancingWVU campaign has concluded, if you would still like to make a donation to support this cause, you may always do so here . Please type in the comments section "West Virginia University Wind Symphony"
The West Virginia University Wind Symphony will take its talents from Morgantown to Manhattan as it makes its debut in one of the world’s most prestigious music venues, Carnegie Hall, in March. The Wind Symphony is one of two selected showcase ensembles for the 2018 New York Wind Band Festival, which brings together six of the best high school groups in the nation to perform and be evaluated by a panel of prominent wind band directors at the historic venue. The festival is held March 3-7, with the WVU Wind Symphony performing on March 6. 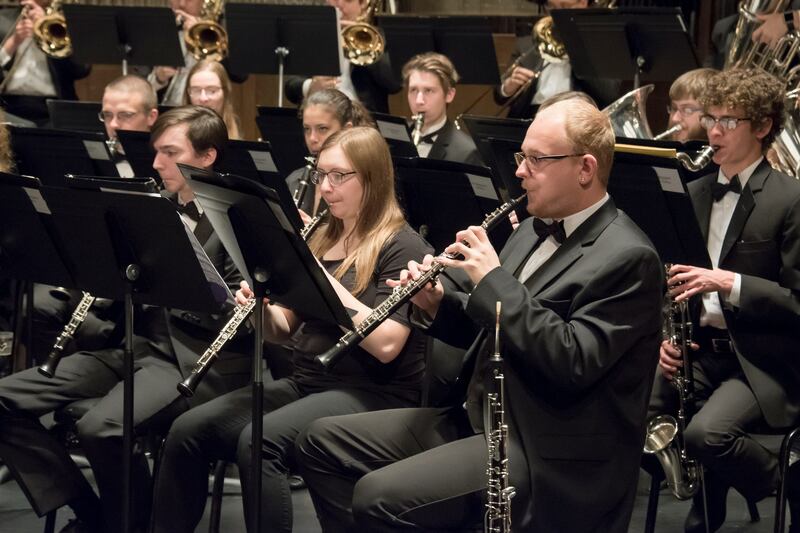 The festival serves as a learning experience for high school students and the WVU Wind Symphony will be a showcase ensemble as an example of what is attainable at the collegiate level. The Wind Symphony was selected for the honor through an audition process that included an application, repertoire review and recording evaluation. The WVU Wind Symphony is seeking financial support to help offset the expenses of this prestigious opportunity. Donations will help cover costs associated with travel, hotel accommodations, meals, and the festival participation fee. Make a gift today to help the WVU Wind Symphony make their debut at Carnegie Hall in New York City! A donation of this size will help the Wind Symphony make their debut at Carnegie Hall! This level represents the number of students that will play at Carnegie!